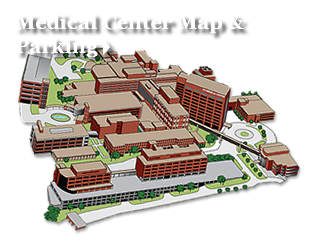 For the second accreditation cycle in a row, the statewide University of Tennessee College of Medicine continuing medical education offices have received Accreditation with Commendation from the Accreditation Council for Continuing Medical Education. Jointly, the Graduate School of Medicine Office of Continuing Education and Professional Development and the CME offices at UT College of Medicine in Chattanooga and Memphis earned the top-level accreditation during the UTCOM six-year reaccreditation review. "Accreditation with Commendation is awarded to providers [who] demonstrate compliance in all 22 Criteria," said Murray Kopelow, MD, Chief Executive, ACCME, in a letter. 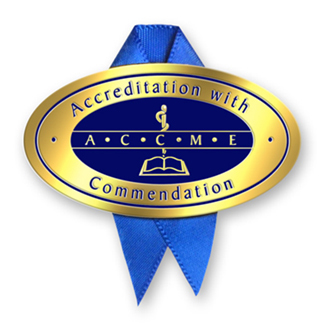 "The ACCME...commends your organization for not only meeting ACCME's accreditation requirements...but for demonstrating that yours is a learning organization and a change agent for the physicians you serve. You have demonstrated an engagement with your environment in support of physician learning and change that is part of a system for quality improvement." The ACCME is the accrediting body for CME providers offering physicians continuing education credits from the American Medical Association. To reach the level of Accreditation with Commendation, the UT offices met or exceeded all ACCME criteria for purpose, mission, educational planning, evaluation, improvement and engagement. This achievement demonstrates that the CME program integrates into its activities a process for improving professional practice; identifies factors outside its control that impact patient outcomes; implements educational strategies to address barriers to physician change; and more. CME activities at the Graduate School of Medicine are managed by Laura Maples, Director, and Jennifer Russomanno and Denise Blake, Continuing Education Coordinators, along with dedicated course directors, their coordinators and administrative support staffs.